Good news Switch owners. Just because we need to wait another month before the release of Dark Souls Remastered, we only need to wait until this weekend to play it as the Dark Souls Remastered network test is available to download now and you can begin playing it this weekend. 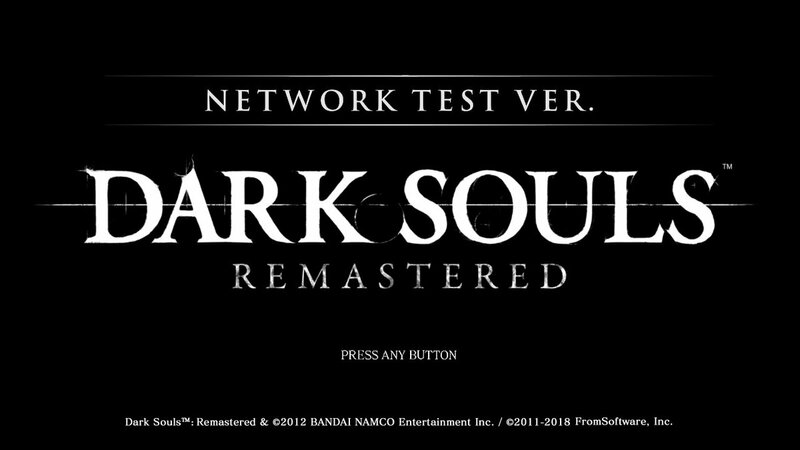 Nintendo Switch owners wanting a taste of what DARK SOULS: Remastered has in store for them can get a sneak peek with a Network Test which begins Friday, September 21st and goes through Sunday, September 23rd. The test will run from 5:00pm – 9:00pm PDT each day and will be available to download starting today through the Nintendo eShop. The DARK SOULS: Remastered Network Test will take place in the Undead Parish with access to single player and multiplayer content. The full game will be available on October 19, 2018. Please note that a subscription to Nintendo Switch Online is required to be part of the DARK SOULS: Remastered Network Test. Save data from the Network Test will not carry over to the final game. Additionally, you only need 888MB of free space to download it, whereas the full game is 3.9GB according to the eShop and if you like what you see, it is available to be pre-loaded as well.